Bike For Life was first started by Dave Mickley, who embarked on a 300 mile-bike trek to Washington D.C in 2009. 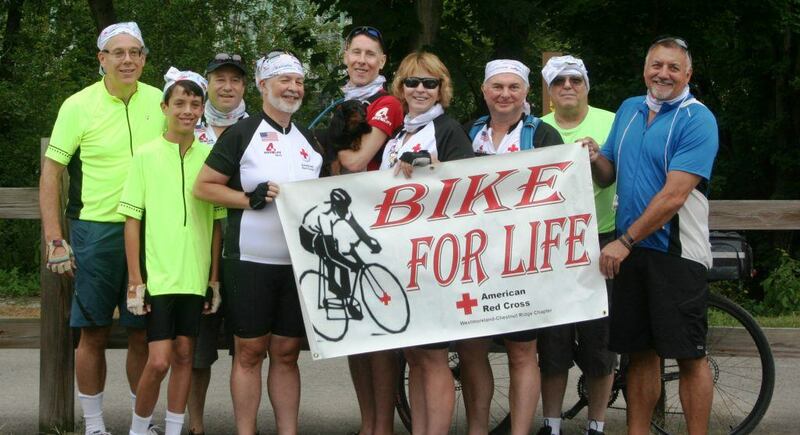 Fast forward to 2015, the event has grown into a successful fundraising effort for the American Red Cross with 9 riders. “First and foremost it’s about helping other people and about helping fulfill the mission of the American Red Cross, which is to help people in times of disaster, and that’s really the most important thing.” said Mickley. What started as an idea for a bucket list, has since raised around $150,000 for the Red Cross in the last 7 years, with $35,000 so far this year alone. This year’s excursion began on August 3rd in West Newton, PA and ended in Washington D.C on the 7th. And each of the rider’s was rockin’ a custom Bike For Life Hoo!